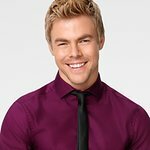 Emmy Award-winning Derek Hough is delving into the music world this November and releasing his first solo music single, a track titled “HOLD ON,” to help spread the word about the importance of mental health awareness. Hough teams with the Movember Foundation, the leading global organization committed to changing the face of men’s health, to assist in their initiative to educate the public about the need to talk about mental health and suicide prevention, topic that hits close to home for him, and he’s using his song “Hold On” to do so. The song, which Hough wrote as an ode to those who struggle with depression and thoughts of suicide, is produced by Jayson DeZuzio (Imagine Dragons, Christina Aguilera, Skylar Grey) and Joseph McQueen (Kehlani, David Guetta). The song debuts November 1 on digital platforms iTunes, Spotify, Apple Music and Tidal. The lyrics to the song speak about holding on and not letting go, about remaining hopeful in even the darkest of times. The official music video to the song is also directed by Hough and produced by Riveting Entertainment. The Hold On video a narrative-driven short film tells the story of a young war veteran, portrayed by Hough, who is dealing with post-traumatic stress and with the pressures of re-adapting to daily life, while his co-star, Kayla Ewell (The Vampire Diaries) also faces emotional trauma after losing her daughter at an early age. When all hope is gone and both are at the lowest point in life, the two unexpectedly meet and save each other. As a teen, Hough witnessed the effects of untreated mental health issues when his uncle committed suicide. He feels there’s a stigma around discussing these issues and talking about them openly and if more people, especially men, spoke openly and honestly without the fear of judgement, more suicides can be prevented.